TOKYO (Bloomberg) -- Prime Minister Shinzo Abe has been urging Japan’s companies to spend their growing piles of money to bolster the country’s economy. Toyota Motor Corp., with cash swelling to about $37 billion, is beginning to comply. The carmaker said on Aug. 2 that net income almost doubled to 562.2 billion yen ($5.7 billion) last quarter -- more than General Motors Co. and Volkswagen AG combined -- as U.S. sales rose and the weaker yen boosted overseas profit. Cash and marketable securities rose 11 percent and totaled the most of any non-bank in Japan, according to data compiled by Bloomberg. Toyota is starting to spread the wealth. The company is raising capital spending and research expenditures 10 percent this fiscal year, paying workers the highest bonuses since 2008, and planning higher dividends as income surges. The moves show how Abe’s efforts to revive Japan’s economy are gaining support from the country’s biggest exporter and may foreshadow spending by more Japanese companies. The conservative approach of top Japanese companies has been a challenge for Abe as he tries to jump start an economy that has stagnated for two decades. The companies’ cash reached a record 225 trillion yen in the first quarter of this year, exceeding the size of Italy’s economy. Japanese companies have focused on building up reserves to be prepared for uncertainties, after the financial crisis and Japan’s March 2011 earthquake and tsunami, said Haruka Kazama, an economist at Mizuho Research Institute. Japan’s benchmark Nikkei 225 Stock Average has jumped 69 percent in the past year as Abe’s drive to end years of deflation through monetary easing and fiscal stimulus weakened the yen, boosting exporters’ earnings from overseas. Toyota’s shares more than doubled in the 12 months through Aug. 2 as the yen weakened 21 percent against the dollar. Toyota’s cash and marketable securities rose to 3.63 trillion yen at the end of June, or more than twice the $18 billion debt that prompted Detroit to file for the largest municipal bankruptcy in U.S. history last month. Among automakers, only Volkswagen had more, with $37.6 billion as of June 30, data compiled by Bloomberg show. How aggressively Toyota spends its money will have implications for the Japanese economy and for the company’s growth prospects. Investors see opportunities both to invest and return cash to shareholders. While the company isn’t specifying how it will use its growing pile of cash, it is targeting to return 30 percent of profit to investors through dividends, so payouts will increase as income climbs. The company counts 75 percent of its ownership in Japan, meaning higher dividends would mainly go to investors at home, according to data compiled by Bloomberg. Toyota is likely to boost its interim dividend 33 percent to 40 yen per share, according to Bloomberg forecasts. “We want to aim for a dividend payout ratio of about 30 percent, and as our profit increases, raise the dividends,” said Takuo Sasaki, who heads Toyota’s accounting group. On share buybacks, the company doesn’t have any specific plans, he said. 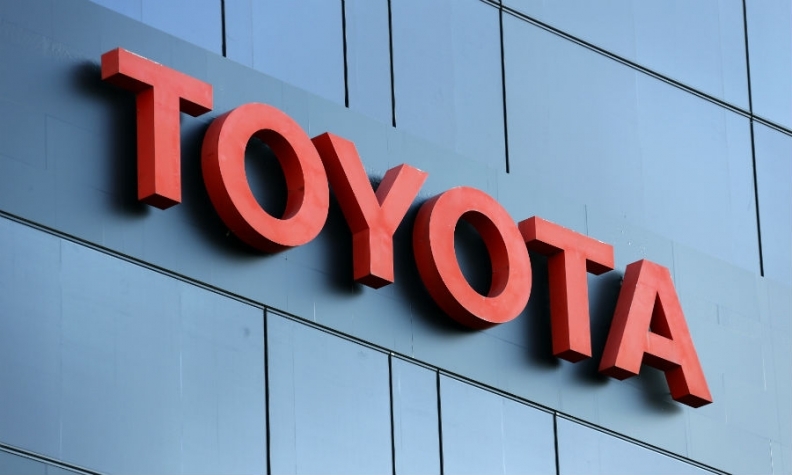 The company also plans to spend a combined 1.82 trillion yen in capital expenditures and r&d this fiscal year, up by 10 percent, Toyota said last week. Of the 920 billion yen set aside for capital expenditure, almost half will be spent in Japan, according to the company. “We do plan to invest in new developments such as advanced technology,” said Sasaki. Considering the global financial crisis, volatile economies and a large natural disaster, cash levels equivalent to three months of sales probably isn’t abnormally high, he said. Toyota, which employs almost 70,000 people in Japan, approved the biggest bonus in five years in agreeing to a union proposal for a 2013 average of about 2.05 million yen, compared with 1.77 million yen in 2012, it said in March. Toyota was “very careful” in conserving funds following the global financial crisis, helping it weather an earnings slump, said Edwin Merner, president of Atlantis Investment Research Corp. in Tokyo, which manages about $3 billion in assets. Now that it’s time to invest again, the carmaker should spend money on research and development, particularly on battery technology, Merner said. The carmaker could buy back shares or raise its dividend payout ratio, said Issei Takahashi, an analyst at Credit Suisse Group AG in Tokyo. Companies in Japan’s Topix index bought 1.78 trillion yen of their own shares in the first half of the year, the most since 2005, according to data compiled by Bloomberg. Share buybacks in the country may double to 3.8 trillion yen in the fiscal year ending March, Goldman Sachs Group Inc. said in April. Toyota last week raised its full-year net income forecast to 1.48 trillion yen, the highest in six years. The company may surpass that target and post a profit of 1.72 trillion yen, based on the average of 20 estimates compiled by Bloomberg. The company has a target of producing 10.12 million vehicles this year, which would make it the world’s first carmaker to surpass 10 million. Martin Schulz, an economist at Fujitsu Research Institute in Tokyo, said Toyota is more likely to concentrate investments outside of Japan where opportunity is greater. The domestic car market is shrinking this year, part of a decades-long trend. Abe’s government has set targets for increased investment at home. In February, he met business leaders and urged them to increase wages. Even as companies are boosting cash to a record, wages in Japan fell or were unchanged in 10 of the 12 months through June. The government wants salaries raised so inflation doesn’t eat away at consumers’ spending power, undermining an economic recovery. Inflation will provide an impetus for companies to spend after deflation encouraged them to hoard cash, Finance Minister Taro Aso said in June. No matter how Toyota decides to use its funds, they shouldn’t remain idle, said Williams at GAM UK.